Contrary to popular opinion, there is such a thing as too many leads. 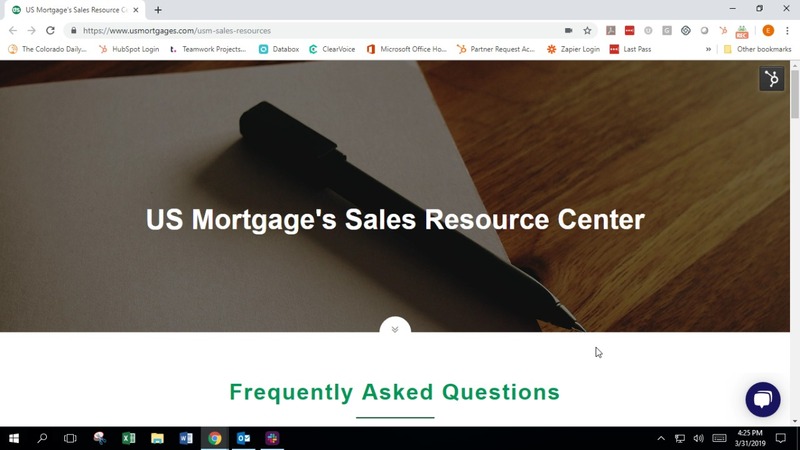 Just a few months ago the sales/lead generation and customer service teams at US Mortgages were overwhelmed with the number of leads they began to generate and grew frustrated with the lack of response from the majority of them. It was clear that they needed to revamp their sales system to methodically nurture leads and delight their customers, but how do you find your way through the chaos when you don’t know where to begin? Before US Mortgages partnered with us, their internal team relied mostly on traditional methods to generate leads: TV, radio ads, and word-of-mouth. 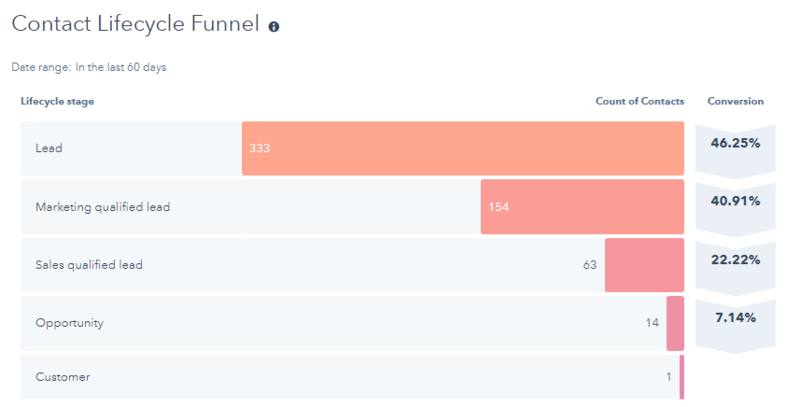 Upon learning more, we discovered that we were tasked with the challenge of building strategies to grow four different pipelines: marketing, sales, fulfillment, and retention. Additionally, we found that the lead generation team were accustomed to following up with all potential borrowers manually. This typically meant taking calls on their office phones without knowing where the caller was calling from, and there was no logging of the outcome of their calls in a centralized place. As a result, there was no lead prioritization or timely follow up, and many leads began to fall through the cracks. The lack of standardized processes led to no insight in regards to qualified leads, and the team was unable to track attribution and sales (in the form of closed mortgage loans). Ultimately, the amount of loans being worked on and funded dropped dramatically. One of the challenges US Mortgages was facing when I came on board was that we weren't able to fully track where our leads and marketing efforts were coming from. While loan officers attempted to track information on Encompass, a loan processing, and CRM platform, it proved to be less-than-intuitive and lacked essential capabilities. The team at US Mortgages understood there was a need to implement and adopt a platform that helped loan officers stay more organized, however, there was some hesitation and resistance to moving towards a process with more automation. Nevertheless, US Mortgages continued and continues, to grow at an exponential rate to keep up with the number of leads generated as a result of marketing efforts. It was clear that thorough training and onboarding were necessary to get new loan officers and customer service representatives (CSRs) up to speed. We would also need to tackle teaching the sales team how to prioritize and follow up with leads in a timely manner, as it is very common to generate non-quality leads in the mortgage lending industry. Lastly, the team needed a way to prove their efforts were paying off by gathering meaningful data. Our objective was to architect an effective sales system through identifying significant pain points, planning and appropriately building out an ideal CRM system, and finally integrating necessary tools. Revenue River was able to help us solve that digital gap by giving us lots of reporting, different lists, and working with us one on one. 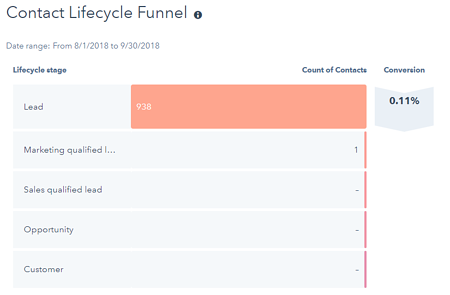 Once US Mortgages saw the value of using HubSpot, one of the first solutions we implemented was a sales cadence to document and track lead statuses. This would help the sales team identify new prospects from contacts that were already in the system, as well as future prospects. 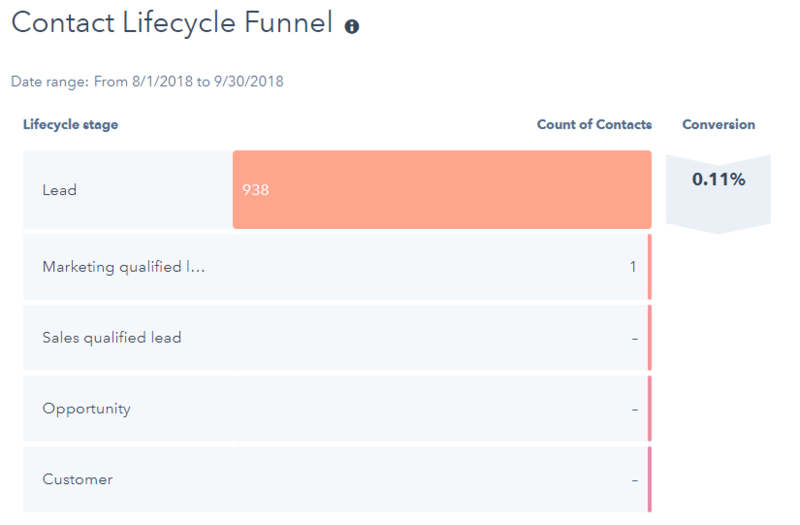 In order to do this, we had to refine their lead sources to properly record attribution, accurately represent where their leads were in the buying cycle, and provide insights into lead prioritization. Segmentation lists, custom properties, and setting up call and meeting types were a must. We also set goals for their new team by creating a CSR ownership property to track the number of transfers to loan officers. Moreover, leveraging sales and deal automation were of utmost importance. To develop the most effective and comprehensive strategy, marketing and sales alignment had to come together. We sat with the client to determine which factors make someone a good fit for US Mortgages (credit score, home value, etc.). We used this information to optimize their form system and guide the sales system. We reviewed new submissions to ensure they were being routed to the appropriate people. In the spirit of simplifying the process as much as possible, we supported the development of email templates for each LO to improve follow-up times. Templates were developed for different stages in the sales process, and the team quickly adopted these emails as they saw the benefits of using their own standardized templates. As an added bonus, email templates gave us a way to track sales activities and response rates as the team previously lacked insight into essential metrics. HubSpot’s reporting widget gave visibility to data such as open and response rates, as well as conversion rates. To further streamline, we implemented and integrated both AirCall and CallRail with HubSpot to assist with attribution and segmentation. 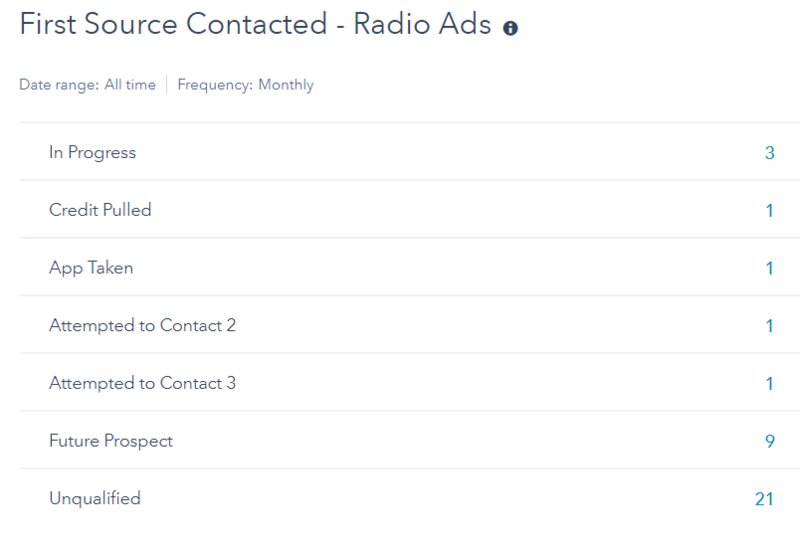 By porting the loan officers’ numbers, we were able to track original call sources, in addition to establishing tracking numbers for organic search, radio, and TV ads. Added benefits of AirCall included call transfers, queues, and recording notes associated with calls – all which met the needs of their CSR team. As mentioned above, we saw the value in creating two pipelines. The first was a sales pipeline to guide the application process, which required a great deal of refinement. The second pipeline took into account fulfillment to document where loans were dropping off or lost in the process. By creating two deal stages, we were able to track SQLs and analyze data. Additionally, we set up tracking numbers of sales activities based on when application processes started and when they were completed by using automation to time stamp custom properties and create Calculations for Sale/Days to Close. 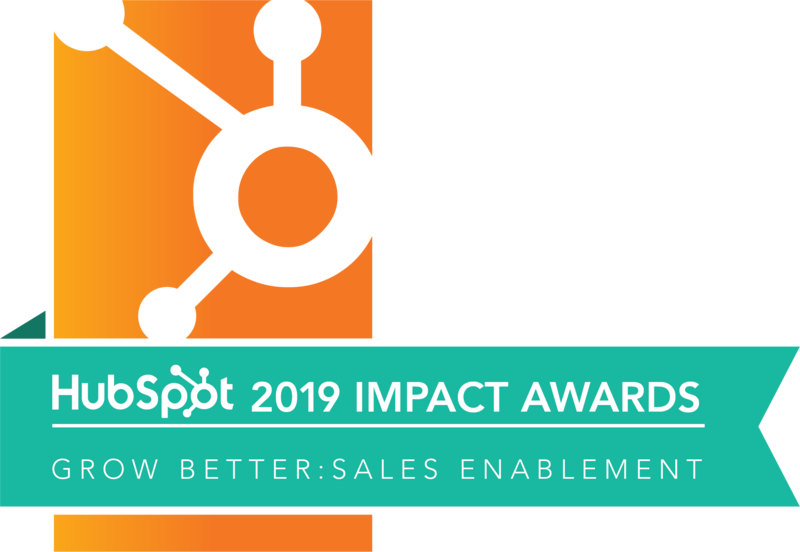 To gain buy-in and to build capacity, we trained loan officers during the adoption phase to create tasks and log notes in one centralized place – HubSpot’s CRM. With proper documentation, loan officers finally had the capability to know the source of the call, could go back and listen to the call recording, and were able to create follow-up tasks accordingly. Each outreach attempt was recorded by updating lead statuses and reporting was used to track adoption and the number of attempts before a successful outreach. Loan officers also learned higher functioning concepts on HubSpot – properties, users, emails, signatures, settings, and even workflows. This gave the team autonomy to make a difference, be champions of HubSpot, and shift their mindset to truly understand that we’re all part of a team. Furthermore, we developed product sheets and an internal sales resource that answered questions across various stages in the sales cycle. Check out the custom resource center we built to help USM reps succeed. Loan officers are continually trained on how to properly use deal stages as a way to document where loans are in the process. We also set up automation as a way to assist in sending reminders to key stakeholders and deal owners to increase accountability and streamline the loan approval process. 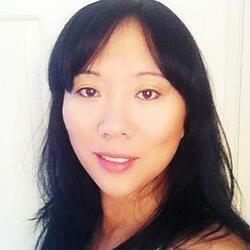 Their lead manager, Jenn, received comprehensive training to allow autonomy and close alignment. We gave her the tools to have the ability to make quick and small changes inside HubSpot to adjust processes as needed. 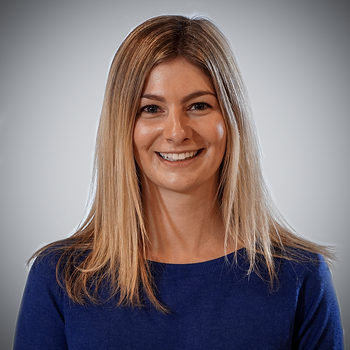 Her knowledge and capability to work within HubSpot has given US Mortgages the competitive advantage to adapt to changes quickly and efficiently. Jenn Whitman talks about how the system we built supports her team. Gathering data was an essential piece of the puzzle, therefore we improved visibility and reporting by creating custom reports (e.g., cross object reporting) for their lead manager. Finally, we also established bi-weekly audits to monitor processes and to quickly adapt their sales system to meet the growing needs of the company and their new teams. 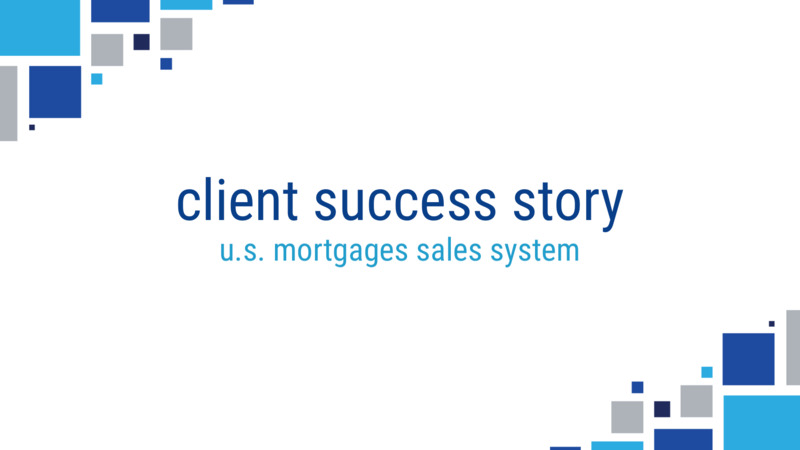 By listening to US Mortgages’ needs and with a great deal of planning, we were able to overhaul their sales system to drive real results in only eight months. It’s nearly impossible to build the perfect system the first time. What does determine success depends on how quickly you can adapt to changes. Our strong partnership, consistent communication, and ability to drive quality leads and track sales performance for US Mortgages has established a strong foundation with a strategy and sales system to continue progressing over time. With all these processes in place, US Mortgages is in a great position to continue growing and holding a competitive edge in their industry. If you’re ready to get ahead of your competition, reach out today to learn more about how we can help with your sales enablement and integration work. Put our Sales Enablement team to work building your sales system.